Neighborhood Surveillance Cameras are now becoming the prevailing choice for a proven security solution. There are many reasons why Neighborhood Watch Cameras and HOA Security Cameras are becoming more commonplace is most neighborhoods. First and foremost is the dramatic increase in criminal activity. Their cost and effectiveness is also a major catalyst for being the go-to choice for security surveillance. Traditional Security Guards are great but neighborhood security cameras are much cheaper can cover more area with many different sets of eyes monitoring key areas. Motion activated alerts can be triggered to notify Security Personnel or dedicated HOA board members along with volunteers from neighborhood watch programs. Either way, it does not matter who gets notified as long someone responds to the alerts. Being proactive about protecting your property and surrounding community is the best way to the criminal element out. 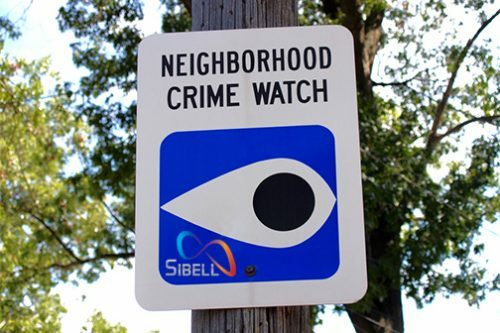 Government and Police agencies have shown that having neighborhood watch programs in place with any type of monitoring will drastically decrease crime in a given area. 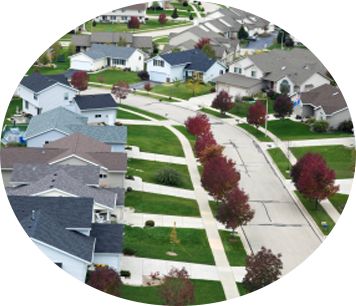 TechPro Security Products can assist you with Implementing neighborhood security camera systems from planning the layout to the installation of the neighborhood surveillance cameras. We just covered why neighborhood surveillance cameras have started popping up at an alarming rate in many communities and neighborhoods. There are just as many reasons why TechPro Security Products should be your go-to choice for Neighborhood Surveillance Cameras. Our US Based Technical Support Staff is made up of Security Personnel who live and breathe everything and anything related to Security Surveillance Products. There will be no confusion or language barriers common with big box store and the support they provide for neighborhood surveillance cameras. Many times after 30 days your warranty and support are zero to non-existent. Having someone who is inexperienced in neighborhood surveillance cameras or a foreigner read from a placard will not help much at all. We firmly stand behind all of our neighborhood surveillance cameras! We heavily develop and test all of our products in-house before they are made available to the public. Buying directly from the manufacturer has many benefits with support, warranty and price standing atop the platform. In addition to our neighborhood surveillance camera s, we offer additional products that will deliver added layers of Security. Access Control is a particularly effective security solution that can control who comes and goes from any given areas. From buildings to roads, you can now control the flow of traffic and persons coming into your neighborhood. Another great application of neighborhood surveillance cameras is to have remote video monitoring. A remote video monitoring service when done by licensed security guards is one of the most cost-effective and proven security solutions available today. Neighborhood Security Camera Systems have started replacing onsite security guards with licensed security guards who through remote video surveillance can monitor larger swaths of property at a fraction of the cost. Having that one guard stuck in one place is predictable and easily circumvented by those wishing to gain access to your neighborhood or community. Protect your neighborhood better with HOA Security Cameras and Gated Community Security Systems. Call today if you have any questions about Neighborhood Surveillance Cameras.